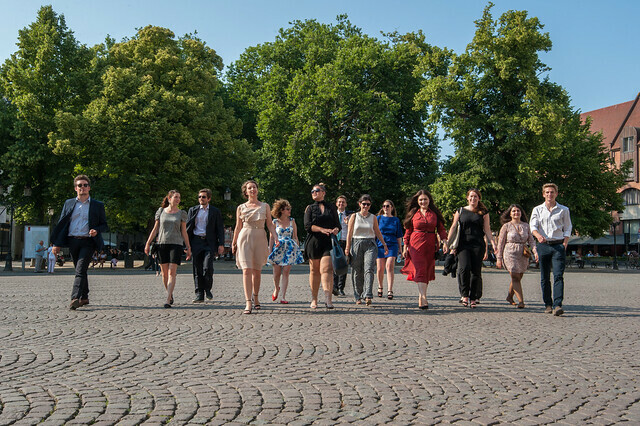 At the end of the academic year, the mayor of Bruges, Mr Renaat LANDUYT, invited the students of the Keynes promotion of the College of Europe, Bruges campus, to the City Hall. 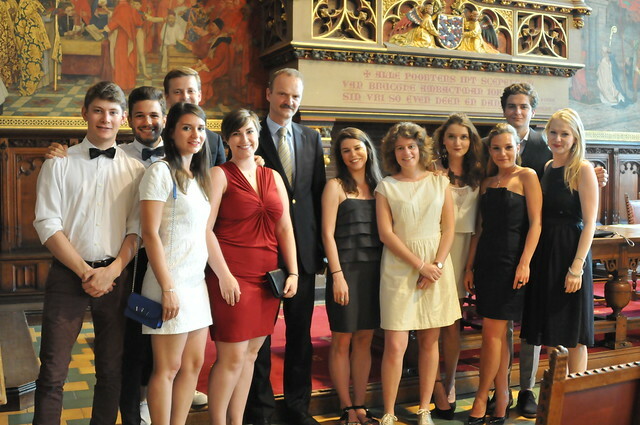 He honoured the students with a certificate awarding them "Honorary citizenship of the city of Bruges". After the ceremony, the students were invited to a reception to enjoy a Brugse Zot, the typical beer of Bruges. On Monday 25 September 2017, the Simone Veil Promotion (2017-2018) will be officially welcomed to the city of Bruges in the prestigious and beautiful medieval gothic room of the City Hall.